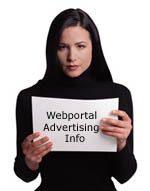 Advertising in Ezines has to be one of the best mediums for advertising your product, free ebook or website. If you want to reach an audience which is highly targeted and cost effective then advertising in ezines is the way to go. You can never be accused of spamming as all the recipients have subscribed to the ezine. They are a great way of launching a product, say you have just written an ebook, that sells for $19.99, you can easily have the profits rolling within a 2 or 3 day period by purchasing an ad in a targeted Ezine with 100,000 subscribers. If your ad is any way good you could sell a couple of hundred+ e-books, that's a great return for an ad that would cost about $250-$500, maybe less. Ezine ads come highly recommended by all the top gurus. There are so many Ezines out there covering so many different topics that it's easy to find HIGHLY TARGETED ones to advertise in. So if you've matched the Ezine to the product you're selling, you've reached your target audience to a tee. Not only can you reach your target audience, you reach them by the thousands. And you should know that the more you target the better response you get, that's why Ezine ads will nearly always bring good results. You could receive tens and maybe hundreds of enquires about your product or service. Almost all Ezines are archived, thousands of people read these archives, your ad will be seen by these people at no extra cost. Which can bring in exposure and extra sales on a long term basis. Ezines allow you to test different ads almost immediately, if an ad works multiply that ad across the web for massive profit. With offline publications you usually have to wait 90 - 120 days before you can receive any feed back on your ad. Ezine publishers have developed a trust between themselves and their readers. Just by placing your ad in an ezine, it's more likely to be read because it appears in a publication they like and trust. It works even better when the publisher/editor adds a personal endorsement! All this equals more sales for you. Ezines offer a "level playing field" for advertisers. In ezines, every advertiser works within the same set of rules, so the odds of your success are much greater. The best ad writers make the most money in the ezines, regardless of ad production costs. Most quality Ezines have 5 or so ads at the most, whereas offline publications could have up to a hundred, and even then, the advertiser with the biggest budget and therefore biggest ad always wins. Ezine advertising is not only effective, it's cheap as well. A 5 line ad in an ezine that goes to 3000 people will cost you between $5 and $25 per issue. Very little risk is involved as you should always break even, but most times you will make lots of profit.